For the past five years Sedona Chamber Ballet has produced the Phoenix Ballet The Nutcracker. This is a terrific collaboration with Phoenix Ballet and the magnificent artistic director, Slawomir Wozniak on The Nutcracker. 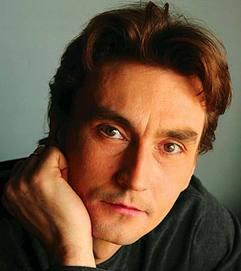 Renowned dancer, choreographer and instructor Slawomir Woźniak, former principal dancer with the Polish National Ballet in Warsaw. The productions featured professional dancers who have performed with Metropolitan Opera Ballet, Ballet Arizona, Moscow Ballet and Polish National Ballet alongside pre-professional dancers from throughout Arizona and local dancers from Sedona and Northern Arizona in the iconic Tchaikovsky-composed holiday classic. The choreography for the production was set in Sedona by Rachel Cahayla-Wynne, of Ohio and former artist with the Louisville Ballet Company. Our heartfelt thanks to the City of Sedona and many of the hotels that continue to support this professional production in Sedona. As many of you understand, a production of this caliber requires the full support of the community. We had over 30 local children perform with the professionals. We supported local businesses with the purchase of videography, photography, printing, food, flowers, and lodging. In addition, we attracted audiences from throughout Arizona and many other states. Most importantly we want to thank you the audiences as we had two sold out shows this year. Members of our community may only see this ballet in an entire year and it might very well be the first time they've ever seen a ballet. You never know how one performance might affect and inspire someone. Many famous dancers got their first exposure to ballet by seeing the magic of The Nutcracker. Thank you Phoenix Ballet and Sedona. One of the top clown/puppeteer performers in the world, Przemysław Grządziela, will perform live in Sedona for our children. Many of you have already enjoyed Przemyslaw performances when he was Drosselmeyer in The Nutcracker in Sedona the five past years. We're excited to host Przemyslaw live once again in Sedona with a performance which will be an explosive mix of clowning, mime, dance, acrobatics, masks, puppets, stilts, juggling balls, clubs, riding a unicycle and improvisation with the audience. The marionettes are handmade by Przemyslaw and are works of art in their own right. Sedona Chamber Ballet presented the Phoenix Ballet Performance Gala, a mix of contemporary and classical ballet on October 1, 2016. Led by Artistic Director Slawomir Wozniak, Phoenix Ballet was recently voted Best New Dance Company by the Arizona Republic and azcentral.com. Phoenix Ballet Performance Gala included three world premiere ballets and two shorter pieces by renowned choreographers: Travis Wall, Albert Blaise Cattafi, Francesca Gella, Preston Miller, Kurtis Sprung, M. Petipa, Krista King-Doherty and, of course, Slawomir Wozniak. In addition, several pas de deux from the Classical Repertory were performed. The genius of these choreographers took our audiences on a journey of life, expression and movement with some of the best ballet talent around included Juliet Doherty, Zherlin Ndudi, Slawomir Wozniak Jr., Michal Wozniak, William Jackson Beckhman, Madison Penney and more! Sedona Chamber Ballet in conjunction with Pamela Taylor Photography presented DANCING EARTH in a production where centuries-old indigenous tradition met cutting edge modern dance. The audience spent an invigorating, creative afternoon with indigenous, award-winning, contemporary dance troupe Dancing Earth and Sedona-based Havasupai shaman Ugualla. Dancing Earth, which has toured the world to critical acclaim, gave a new twist to their original work “Seeds: REd Generation” for this one-time performance in Sedona. This was no ordinary experience where you sat and watched dancers perform on a distant stage. Instead, the audience was invited to not only walk among Ugualla and the dancers as they chanted and moved, but became part of the performance ritual in a journey of song, dance, scent, taste, and body percussion. Along the way, everyone engaged in sustainability experiences such as seed exchange, seed ball making, and visual arts including collective writing and drawing. Proclaimed by the New York Times as one of the top ten choreographers in the United States, Director/Choreographer Rulan Tangen brought 30 years of international professional experience in indigenous dance, ballet, modern dance, circus arts, film, theater, and education. Dancing Earth has been recognized as “One of the Top 25 (dance troupes) to Watch” by Dance Magazine for its distinctive performance rituals. “Seed: REd Generation” came about by the urging of inter tribal elders who were concerned about indigenous protest rallies at the recent Climate Change summit in Paris. The performance featured a small cast of four female indigenous dancers including Rulan Tangen; Jicarilla Apache basket weaver/tribal health worker Anne Pesata; Natalie Benally (Gallup performing arts teacher and Dine speaker feature in “Finding Nemo”; and, Lupita Salaza (New Mexican sustainability farmer with a Masters degree in sustainability). 2015 Rising – a collection of ballets including two world premieres! Phoenix Ballet presented Rising, a collection of works by internationally sought-after choreographers. Audiences enjoyed Phoenix Ballet’s diverse, award-winning, talented dancers as they bring passion, beauty and pure expression to the stage. This production included the world premiere of String of Thoughts, an emotional tale of new love by Albert Cattafi; The Awakening, a premiere by Ricky Palomino; Francisco Gella’s Solstice, a neoclassical ballet; and Only Love, Artistic Director Slawomir Wozniak’s romantic ballet presented in the U.S. for the first time. This ballet is perfect for ballet lovers and people new to the art form. It combines beautiful classical ballet with new, modern steps. After its Mesa debut, Rising was performed in Sedona on May 21st, then in Poland May 26-27, 2015. Dancers include internationally award-winning Gisele Bethea, Juliet Doherty, a nation-wide sensation, Sophia Lucia, the Guinness World record holder of 55 consecutive pirouettes and many other recognized performers. Photographer Mike Olbinski’s awe-inspiring time-lapse photography of the 2012 Arizona Monsoon is set to the music of Luke Neumann and Kevin Macleod while professional and local ballet dancers perform live within the photography. Choreographed by Brandon Ragland, dancer of the Louisville Ballet, this short piece will be performed by several students of the Northern Arizona Youth Ballet and guest artists from the Louisville ballet. The result of this collaboration of diverse arts is a masterful performance of photography and ballet. Brandon his early training from Jacqueline Crenshaw Lockhart and continued his dance training at the Alabama School of Fine Arts. Brandon has performed leading roles in Andre Prokovsky’s Three Musketeers, Val Caniparoli’s The Nutcracker, Lamberena, The Seasons, Jorg Mannes’s Contemporary Pas de Deux Marz. Other performances include works by Adam Hougland, Alun Jones and Helen Starr, as well as Balanchine’s Theme & Variations. Brandon has choreographed for Louisville Ballet, AROVA Contemporary Ballet, Next Generation Ballet, and J. Lockhart Performing Arts Institute, just to name a few. The short ballet will be performed by Louisville Ballet dancers Rachel Cahayla Wynne, Ryan Stokes and Leigh Anne Albrechta; Northern Arizona School of Ballet dancers Maya Lowney, Thekla Hutyrova, Isabella Pepino, Jaxon Oles and Charleston Oles. Restless Elements will be a celebration of what happens when you stretch the boundaries of creative capacity and shift your relationship to the power of earth, arts and creative spirit.